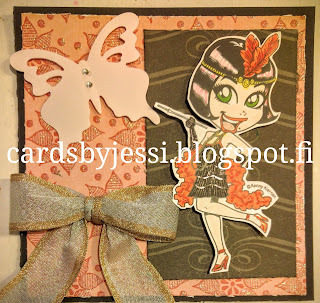 Jag deltar med min Charleston-tjej i KennyK utmaningen All dressed up på Facebook, Simon Says Wednesday (ATG) och Dream Valley (One for the Girls). Such a gorgeous creation, I love the colour palette. Thank you so much for sharing your lovely creation with us at Dream Valley Challenges. Ihana bilekortti! Tulee ihan pikkujoulufiilis! 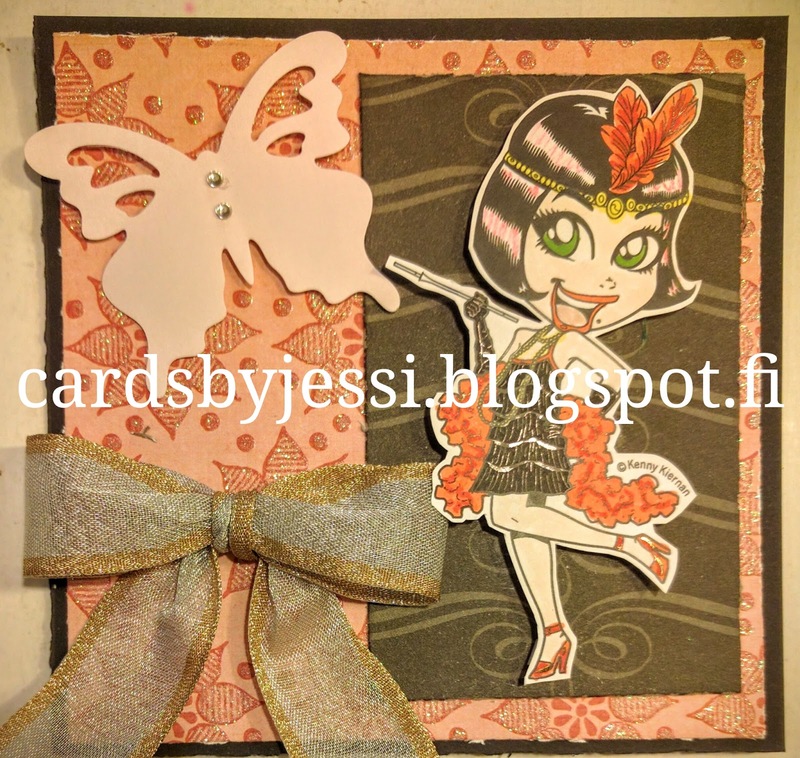 Gorgeous card Jessi! So cute & beautifully coloured. Let's hear it for the boy!